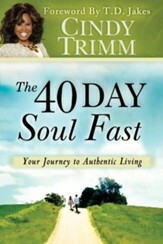 The purpose of this 40 Day Soul Fast is not only to bring health and restoration to the souls of individuals, but also to provide a mechanism for all people to learn to live from the inside out - from their authentic, God-nature selves. Designed for use with the book and DVD, the study takes place over 8-weeks and each week is divided into five days of of study, with the weekends off. 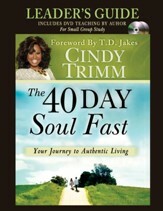 Let your soul journey begin today! The 40 Day Soul Fast Participants Guide: Your Journey To Authentic Living is an eight-week study of the life of the soul, the practice of fasting, and the process of living more authentically. 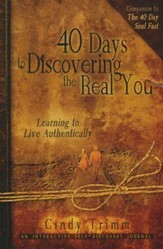 It includes a 40-day workbook, plus weekly DVD viewing guide. Churches, organizations, small groups, and families are encouraged to travel together on this 40-day journey to greater mental, emotional, and spiritual health. It is a transformational expedition that will lead you on an inward journey to greater health, happiness, and success as you learn to live from the inside out. If everyone who picks up this book takes it upon him or herself to encourage others to participate, we would create an unstoppable movement! You may think that one healed soul cannot heal the world, but it can. 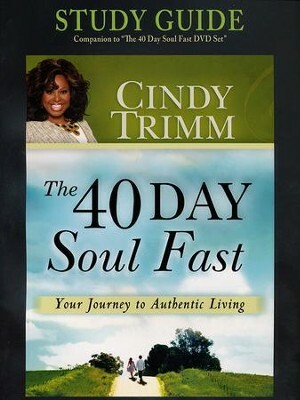 Dr. Cindy Trimm has dedicated her life to serving God and humanity. A best-selling author, high-impact teacher, and former senator, Dr. Trimm is a sought-after empowerment specialist, revolutionary thinker, and transformational leader. She has earned a distinguished reputation as a catalyst for change and voice of hope to the nations. I'm the author/artist and I want to review 40 Day Soul Fast Participant's Guide.